This tiled shower tray former is designed for on site tiling to the customers preferred tile choice. 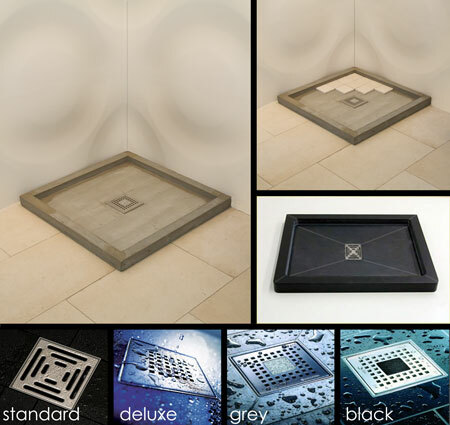 Supplied in 13 shower tray sizes with bespoke tiled shower tray formers available to special order. Each tiled shower tray chassis is manufactured in a fully waterproof material and is supplied with a rapid draining waste and a choice of stainless steel grill. * Shower tray for on site tiling. * Made of waterproof material. * 13 shower tray former sizes. * Includes rapid draining waste. * 3 stainless steel grill designs.